Welcome to the home of Australian Geology Travel Maps. When you are bush-walking, please put your phone into flight mode. This can very significantly extend your battery life. Thanks to the government organisations – Australian and otherwise – that have released their data under a Creative Commons BY license. 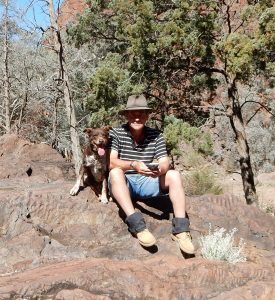 And gratitude to the generations of dedicated field geologists that have walked, ridden and driven over the remotest parts of Australia collecting data that forms the basis of our knowledge of the evolution of the Australian continent. 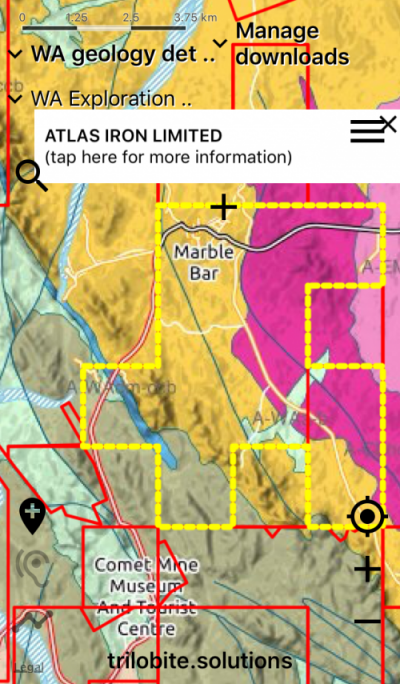 The author of Australian Geology Travel Maps is a geologist and developer with 30 years experience in information technology, including working in the mining and exploration industry and for Geoscience Australia and the Geological Survey of NSW. Trilobite Solutions uses and contributes to Open Source software. 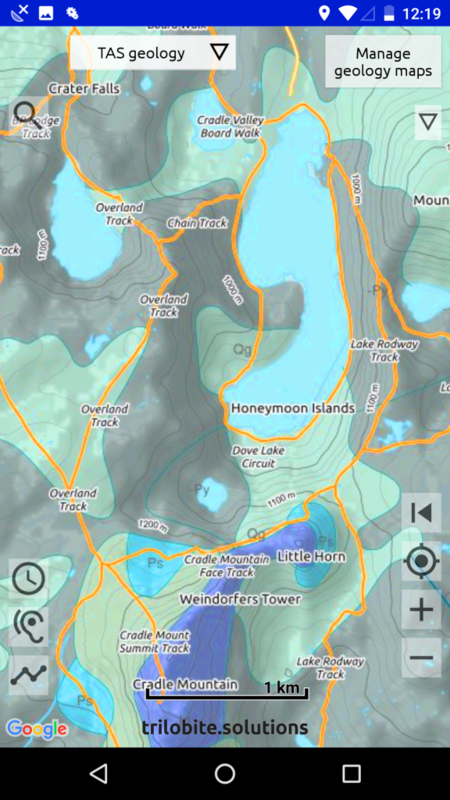 This is used extensively in app development and data systems, for example, Ubuntu (linux) running PostGIS (a spatial database) and QGIS (an excellent free geographic information system). Open source desktop applications are used in both the Mac OSX and Ubuntu environments. The driving design philosophies for all software developments are quality, dependability and simplicity. Apps need to make life simpler – and they must be totally reliable. 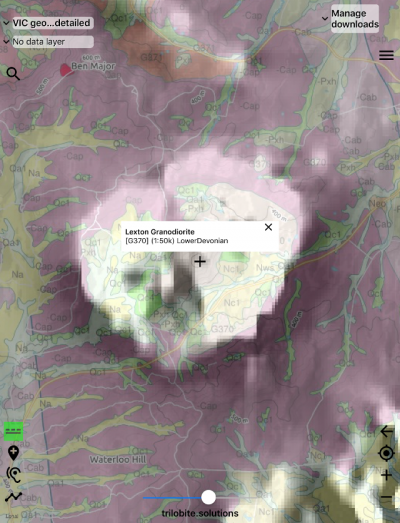 The interface to Australian Geology Travel Maps is kept as simple as possible, and small hints guide the new user. Quality is the top priority in all aspects of development. Industry best practice defined by Google, Apple and the Open Source community are followed with all functionalities. And you are not on your own after you install the app – any stability issues with the apps are reported to Trilobite Solutions via a Google-provided monitoring system. 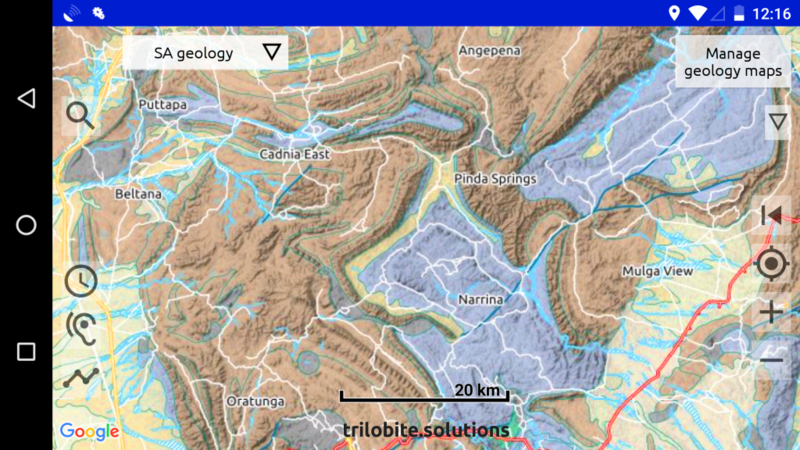 Many, many hours of computer work has gone into the creation of the Australian Geology Travel Maps system, including the creation of the maps and the development of the Android and Apple apps, but to create a good field app requires first-hand experience in the field, and extensive testing in the environment that the app is designed for. Thousands of kilometres of driving and many weeks of time have been spent in the field, testing the app. We hope you develop a fascination for geology and its relationship to landscapes, and you enjoy using Australian Geology Travel Maps in the truly great outdoors of Australia. If you are reading this from overseas, come over and see for yourself!